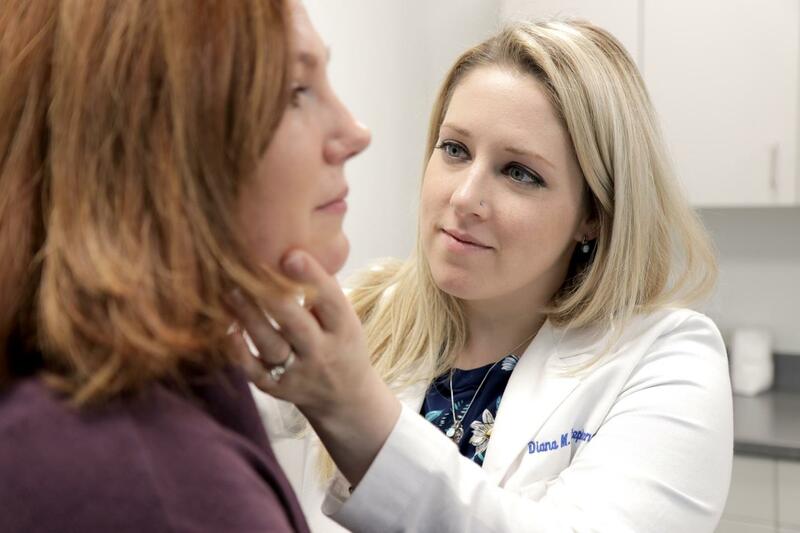 Dr. Diana Stephens, CMA Dermatology, is among one of the top-ranking CAP medical practioners providing Medicare beneficiaries with low cost and high-quality coordinated care. CMA dermatology offices are located in Homer and Ithaca. Cayuga Area Preferred, also known simply as C.A.P., brings Cayuga Medical Center, local physicians, and other community health care providers together to provide higher-quality coordinated care. CAP unifies this network of providers and specialties across the health care delivery spectrum, to reach a variety of patients, while focusing on slowing the growth of health care costs. Cayuga Area Preferred (CAP) ranks the 5th lowest cost Accountable Care Organization (ACO) in the Country. CAP has been a Medicare Shared Savings Program Accountable Care Organization (ACO) since January 2016 and has continually provided Medicare beneficiaries in our communities with low cost and high-quality, coordinated care. In August of 2018, the Centers for Medicare & Medicaid Services (CMS) released the 2017 Shared Savings Program ACO Performance Results. Of all the ACOs in New York State, CAP achieved among the highest quality performance score of any ACO in New York being measured on performance surpassing 33 other ACOs in the State. CAP also achieved a 95.56% quality performance score for 2017. This high-quality performance demonstrates the value of care that is provided in our communities. CAP not only achieved a high-quality performance score, but also had the lowest yearly per Medicare beneficiary spend of all ACOs in New York State. Nationally, CAP ranks as the 5th lowest cost ACO out of 480 ACOs across the United States, with only 4 other ACOs in the nation having a lower yearly per Medicare beneficiary spend in 2017. With CAP’s high-quality performance score and the low cost of care for Medicare beneficiaries, they have shown that the care delivered to patients can be both the highest quality of care, while focusing on lower costs to patients. CAP is a collaborative partnership between Cayuga Area Physicians’ Alliance and the Cayuga Medical Center: encompassing more than 40 primary and specialty care practices. Specialties include but are not limited to; Palliative Care, Family Medicine, Ophthalmology, OB/GYN, Oncology/Hematology, Internal Medicine, Psychiatry, Orthopedics, Pediatrics, General Surgery, Cardiology, Neurosurgery, Dermatology, Sports Medicine, Urology, Allergy, Radiology, Infectious Disease, Rheumatology, Gastroenterology, Wound Care, Endocrinology, Substance Abuse and more. CAP providers are dedicated to continuing this trend for all the patients in the communities that they serve. Our ACO has made a commitment to be continually innovative in how we care for patients. Medicare beneficiaries in our community are better cared for because of this commitment. ACOs drive progress in the way health care is provided by improving the coordination and integration of care and improving the overall health of patients with a priority placed on prevention and wellness. A complete listing of providers and locations can be found at www.capny.com.